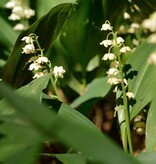 The well known Lily of the valley, or Convallaria majalis, is an easy groundcover plant for in full or partial shade. 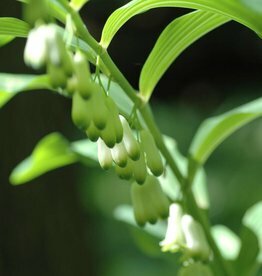 Convallaria majalis flowers in April with gorgeously scented white flowers. 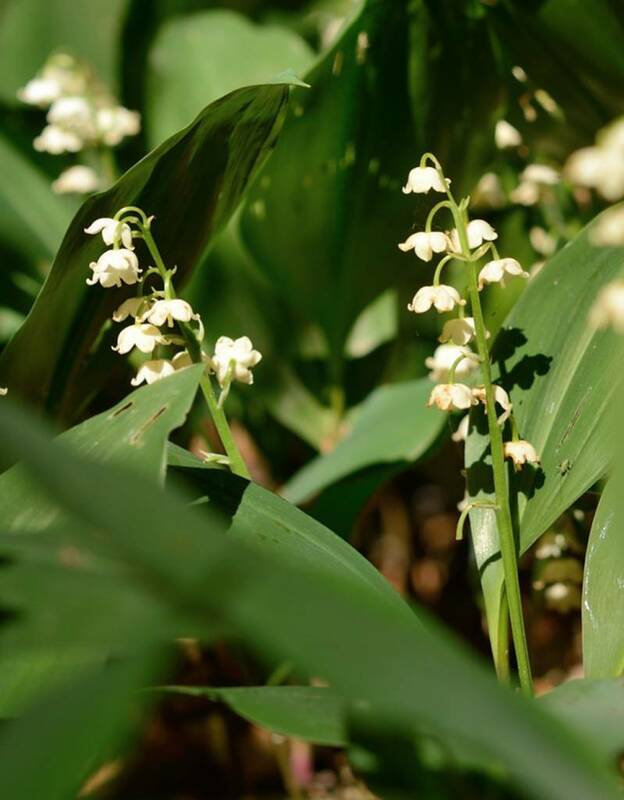 This Lily of the valley is organically grown and comes from our very own woodland. It's a real Dutch native! 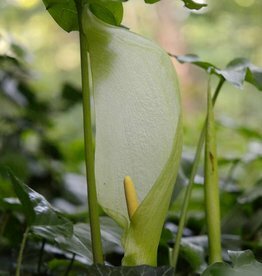 At De Warande, in our garden, Lily of the valley grows alongside Anemone ranunculoides (Yellow anemone). 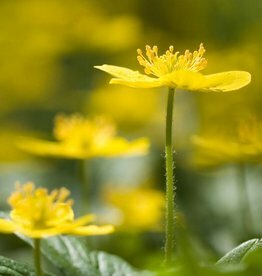 The flowers of the Yellow anemone appear before the foliage of the Lily of the valley has reached its full height. The fresh green of the unfurling leaves together with the yellow flowers is stunning. Although Convallaria majalis is slow to establish, once it has established it will form a very dense carpet; weeds don’t stand a chance! If planted close together then the ground is of course earlier blanketed. We therefore advise to plant at least 12 plants per square metre. The bulbs come in a plastic bag with some leafmould; add the leafmould to the soil when planting. After receiving the bulbs please plant as quickly as possible. It is possible to store the bulbs for a short while in the fridge (frost free). 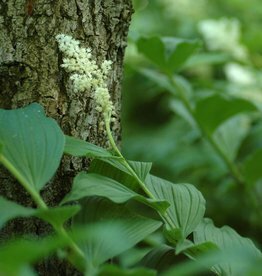 A must-have for in the shade garden! In the gardens at De Warande: an amazing show of yellow! 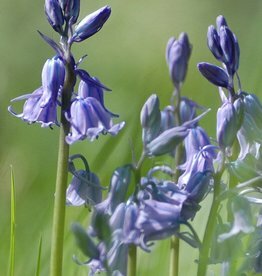 A native bluebell for naturalising! De Warande Stongbulbs.com is the webshop of De Warande. We’ve been gardening for more than 25 years with stinzenplants, shade-loving plants and bulbs suitable for naturalizing.